With gorgeous intricacy and soft femininity, lace wedding dresses are a favorite for many brides. 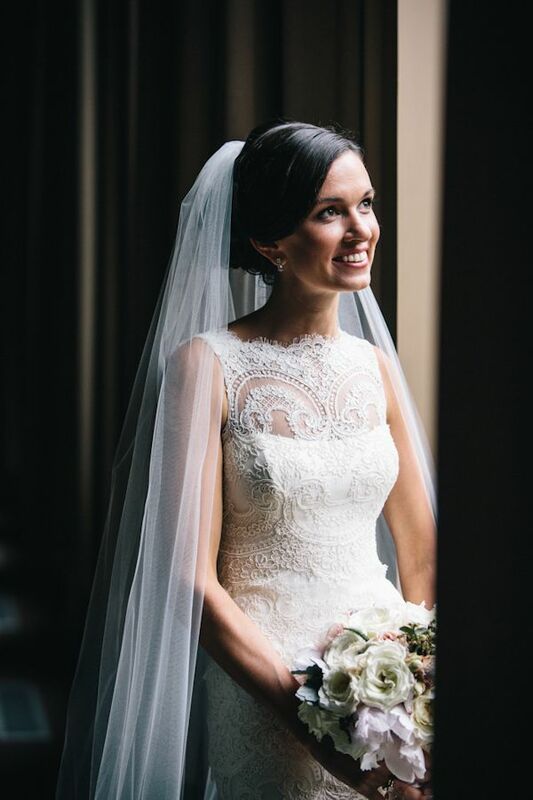 Though opting for a traditional all-lace gown is certainly a stylish decision, there are many variations of lace detailing that these brides featured in our Real Weddings Library wore beautifully. Photo by Vue Photography and lace wedding dress by Rivini. See more of Heather and Marty’s classic wedding! Photo by Still55 Photography and lace wedding dress by Allure Bridals. See more of January and Rory’s romantic wedding! Photo by davina + daniel and lace wedding dress from BHLDN. See more of Katrina and Brandon’s intimate wedding! Photo by Tina Bass Photography and lace wedding dress by Allure Couture. See more of Karen and Andy’s elegant wedding! Photo by Benj Haisch Photography and lace wedding dress by Rivini. See more of Kendra and Erik’s country club wedding! Photo by Joy Marie Photography and lace wedding dress by Vera Wang. See more of Julie and Shervin’s Hollywood wedding! Photo by Bradford Martens and lace wedding dress by Inbal Dror. See more of Dorothy and Mac’s garden wedding! Looking for more beautiful wedding gowns? Find more inspiration in our Wedding Dress Gallery. Thanks to all of our gorgeous brides, who are undoubtedly a stylish bunch! The Latest from Junebug’s Wedding Photo Gallery – Creative Floral Details! The bride body figure looks very complex .